Consider a day in the life of an obese or morbidly obese person and how obesity can contribute to physical challenges related to activities of daily living, functional mobility, and quality of life. When considering the challenges overweight and obese people face it is vital to recognize that many challenges overweight and obese people manage are reversible or preventable. You might already understand why it is important to regulate your bodyweight. If you do not regulate and control your bodyweight you may lead yourself down a path to greater risks for many illnesses, diseases, and disorders, specifically associated with being overweight or obese. Leading health risks including type 2 diabetes, hypertension, high cholesterol, stroke, cancer, and heart disease, among many other disorders, complicate overall health and well-being of obese people who are already attempting to manage their health, fitness, and bodyweight. Setting aside disorders and illness as a result, or complicated by obesity, it might surprise you to know just how physically challenging a day in the life of an obese person really can be. As an exercise professional I am deeply in-touch with the needs and challenges of my clients, colleagues, friends, and family. People who are not obese may not consider many of the challenges obese people manage daily. I, among many of the folks with whom I work and interact daily, think about and work together with others worldwide to develop solutions for overweight and obese people. As it has been said long before my time, the mother of invention is necessity. My goal in writing this page is to illuminate some of the challenges obese people face and manage daily. As a result of understanding many of these challenges, and learning about many more from our readers, clients, friends, and colleagues, we can gain a better appreciation for the needs of people managing obesity everywhere. And, we can work together to find real solutions. What challenges to obese people manage daily? Think about small tasks. Think about functional mobility. When you get out of bed in the morning, is it a challenge? Many obese people either cannot get out of bed without unusual strain or help from others, take a great deal of time and effort to simply sit up and stand, risk falling, or even worse cannot leave the confinement of their bed. Are you balanced when walking? People who are excessively overweight or obese can have a very difficult time balancing while standing or walking as excessive body weight negatively affects balance. Morbidly obese people, critically morbidly obese people, and overweight or obese people share some level of the challenge described. When you use your bathroom, groom, shower, simply get ready for work, is it a physical challenge? Overweight, obese, morbidly obese and critically morbidly obese people can find these tasks very difficult to accomplish or may not be able to accomplish these tasks without special equipment, modified living spaces, a specially modified or constructed bath facility and, or, toilet. Many obese people of any level simply are confined to their bed to bathe or complete simple tasks many people who are not obese or overweight do not recognize as daily challenges. When you tie your shoes, walk, get into or out of a vehicle, go grocery shopping, or visit your doctor — is it a physical challenge to complete the task? Think about quality of life and personal behaviors and tasks, is your personal relationship with your partner a challenge? 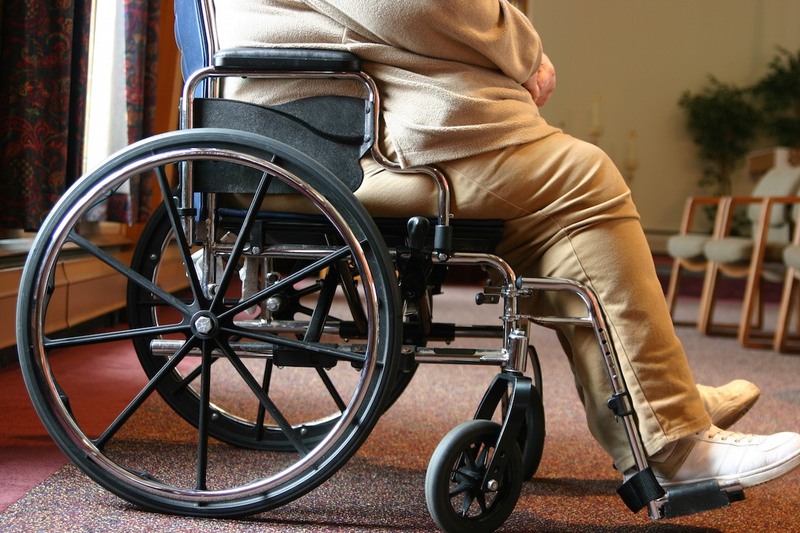 Obese, morbidly obese, or critically morbidly obese people may not be functionally mobile, able to move with ease, experience intimacy, or physically connect with others. What emotional toll do you think this might create? Are our quality of life behaviors directly linked to our interactions with others, and ability to connect with others physically, emotionally, and socially? If these physical and emotional experiences are significantly restricted, do you think quality of life suffers? I think you have a clear picture of what it is like to manage everyday living for people who are significantly overweight, obese or morbidly obese. Rather than continue to outline specific challenges obese people manage in greater detail, it may be more valuable to simply ask you to put yourself in another person’s shoes when confronted with America’s challenge, epidemic really, of obesity. Obesity can contribute to many ailments, it can challenge the quality of life of a person, it can end a life. So, what can we do to reverse or prevent many of these challenges obese people face daily? In my mind, and daily effort, we can help people lose weight, work with healthcare providers, medical communities, exercise professionals, health clubs, product manufacturers and fitness communities, dietitians, counselors, behavioral coaches, and education providers to improve awareness, and more importantly, solutions for ending this obesity epidemic. You do remember an quote from Benjamin Franklin, an ounce of prevention is worth a pound of cure? Related to obesity I might suggest that for most people, the cure for obesity is prevention. If obese and overweight people can prevent unreasonable physical challenges managed daily by preventing the host condition and environment of remarkable weight gain and obesity, and also prevent many related medical conditions as a result of preventing obesity — how can obesity prevention not be the most pressing goal of every person? As I write this page, I am reminded of many of my clients who have accomplished substantial weight loss. I am reminded by many people with whom I’ve communicated or worked, that any one challenge isn’t representative, as a whole, of the completeness and fulfillment of all obese or overweight people. It is critical to also state that overweight and obese people can live normal, fulfilling personal and social lives. We all face challenges. Obesity alone isn’t a determinant of poor quality of life. It is, however, a decisive challenge to health. Obese folks are no different than overweight or underweight folks in many respects. Many factors may play a role in the health, condition, and fitness of all people. Biology or medical circumstances, psychological factors and influences, and social elements may all serve in combination or in isolation as determinants for being overweight, obese or underweight. Quality of life and health conversations may intersect, but, independently, they do not define an individual. The next time you look in the mirror and question challenges you might face in relation to your experience with obesity, or the experience of others who are challenged daily to complete tasks you might otherwise consider unremarkable, question what you can do to either help yourself — or help another person — improve quality of life, improve health and fitness, reduce greater health risks associated with obesity, and reduce many of the challenges of daily living mentioned above. You can change. You can help another person change. We can work together to change the state of obesity and related illness in America, and worldwide. Yes, you can, I can, we can. 1. “What Are the Health Risks of Overweight and Obesity?” National Institutes of Health. Department of Health and Human Services, 13 July. 2012. Web. 05 Nov. 2014. 2. P. Capodaglio, V. Cimolin, E. Tacchini, C. Parisio, M. Galli. “Balance Control and Balance Recovery in Obesity.” Springer. Springer Science Business Media, 12 June. 2012. Web. 05 Nov. 2014.